The eighth grade technology curriculum prepares students for their future not by teaching widgets and programs—though that happens—but by showing them how to be life-long learners. How do they decide what program works best for what inquiry? How do they acquire the use of tools they have never before seen? How do they self-assess their knowledge, insuring they acquired what they need? Don’t expect black-and-white answers. Success is more likely predicated on student transfer of knowledge than their ability to check off boxes on a rubric. Units 1, 3-7 because they introduce ‘tech in ed’, digital tools students will be expected to use, correct keyboarding habits, and how to be good digital citizens. At least one unit from each theme—Basics, Logical thinking, Digital Citizenship, Search/Research, Programming, Collaborate/Publish/Present so all Common Core fundamentals are addressed. Throughout the Units, you will often see instructions to ‘pick which program works best’, and/or ‘devise a plan of action to accomplish the goals’. It means exactly that. Differentiate instruction for your unique group. Be flexible, open-minded, and adventurous with these choices. Units focus on strategies useful throughout a student’s learning day. Collaborate with 8th grade subject teachers on cross-curricular planners that involve technology. Units use the ‘flipped classroom’ approach to teaching. Homework prepares students so class time can be spent on enrichment. Homework materials can be shared via the class website, blog, wiki, class internet start page, and/or videos. The last can be done via 10-15 minute informal videos providing an overview, your expectations, and where to find resources. Prepare your video with the free Screencast-o-matic or an inexpensive recording program like Snagit, then upload to a private teacher YouTube/Vimeo/TeacherTube channel. Or, share in real-time via Google Hangouts (which can be taped directly to YouTube). A lesson is forty-five minutes. A Unit is two lessons—in most cases, accomplished the same week. Some units, like Alice, require multiple weeks. Use domain-specific language noted under ‘Vocabulary’. This supports Common Core standards (CCSS.ELA-Literacy.CCRA.L.6 ) as students learn by your example. Check off each item in the text’s Scope and Sequence as it is completed. Some Scope and Sequence entries link to Common Core standards where you can get more detail. Treat students as ‘authors’ and ‘doers’, rather than passive consumers. A good step in that direction is to consider a BYOD approach in your classes so students can use the devices they have easiest access to and are most comfortable with (if your school IT folks and infrastructure can support this approach). Because lessons cross content boundaries, learning can be optimized by encouraging students to complete projects when most convenient for their schedules. Support differentiated instruction. If students have an alternative approach to a lesson and it accomplishes the goals, consider allowing them to pursue it. By 8th grade, we want students to take responsibility for their own learning. This is nicely accomplished by allowing them to come up with the plan that accomplishes expectations. Expect students to be risk takers. Don’t rush in to solve their problems. Ask them to think how it was done in the past or what strategies might provide a solution. Focus on problems listed in the Unit, but embrace all that come your way. At every available opportunity, use technology—to schedule meetings, take a poll, read, time an activity. Expect students to devise tech alternatives to common activities. 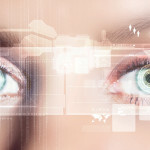 The Units use free software and web-based tools wherever possible. If there are programs you can’t access, email us and we’ll help you develop a work-around. Assessment isn’t a static thing—nor is it ‘bad’. Unit assessments aren’t limited to traditional quizzes and tests. Be creative. We offer formative and summative options, but tweak them to suit your needs. Remember why you assess: 1) to see if students understand the lesson, 2) to see if what was taught can be transferred to life, 3) to help students prepare for college and/or career. If you teach tech, it’s likely colleagues consider you a ‘geek’. That’s wonderful! There are three surprises for you at the end of the last Unit. Go check them out. If you have the print curriculum and need a link, Google the name. If that doesn’t work, visit the Help blog (http://askatechteacher.com) and ask the teacher there for the link. If s/he is too slow (which s/he won’t be), email Zeke.Rowe@structuredlearning.net with name, textbook, page number. He’ll track it down. Any questions on any part of this textbook? 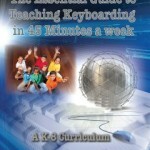 You can get answers from AskaTechTeacher.com. There’s always a teacher there familiar with the K-8 curriculum. Let them know where you need help and they’ll figure it out with you. 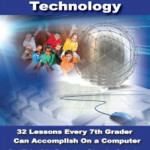 Note: If there are tech skills in this text you don’t know, get free assistance at AskaTechTeacher.com. It is staffed by tech teachers ready to help. Disclaimer: I am one of the editors for this series, though it’s a collaboration of a team of technology teachers. This entry was posted in Ask a Tech Teacher, Book Reviews and tagged in 8th grade.